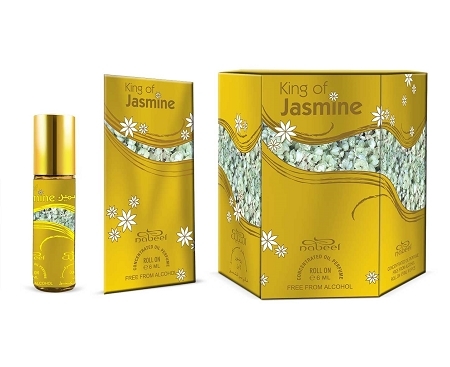 A tribute to the most beloved flower in the Eastern world – Jasmine, this fragrance is held in a simplistic rollon bottle to let the scent of the jasmine speak for itself. ??? ??? ????? ????? ??????? ??????? ??? ?????? ?????? ?- ????????.????? ???? ?? ????? ????? ?????? ???? ??? ???????? ??????? ???? ??????. 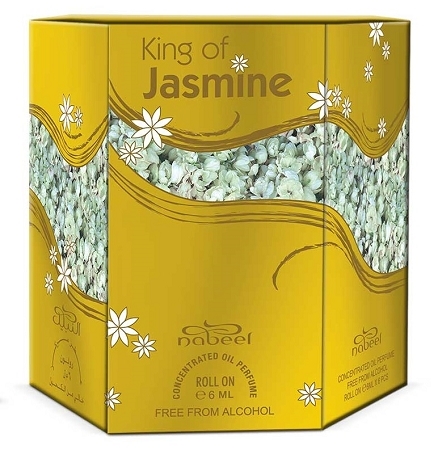 Founded in 1969 by Asghar Adam Ali (Al Attar), Nabeel is one of Middle East's leading perfume manufacturer specially known for its bakhoor and oudhs. For more information on Nabeel products, please check www.nabeel.com. Ingredients (as listed on the box): Perfum, Dipropylene Gycol, Alpha-isomethyl Ionone, Benzyl Benzoate, Benzyl Salicylate, Citral, Citronellol, Coumarin, Eugenol, Evernia Evernia Prunastri(Oakmoss) extract, Farnesol, Geraniol, Limonene, Linanool. It is amazing, really love the smell. Gave one to my mom and she loved it as well.